While at Vaidyagrama, I took pictures here and there, and some of them don’t really fit into any category or fall under a certain topic. So, this post is dedicated to those random pictures, and I hope my captions do a decent job of explaining them, because as you know, ‘a picture is worth a thousand words‘. 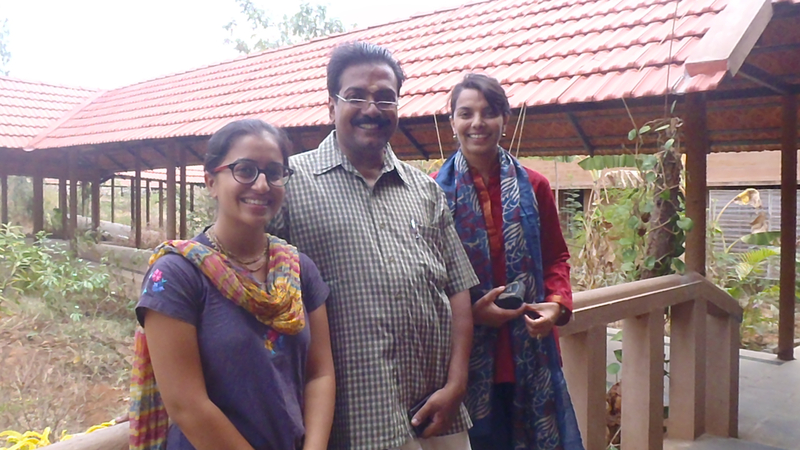 With Dr Ramdas and Sharmila – another student studying with me for the first month I was there. 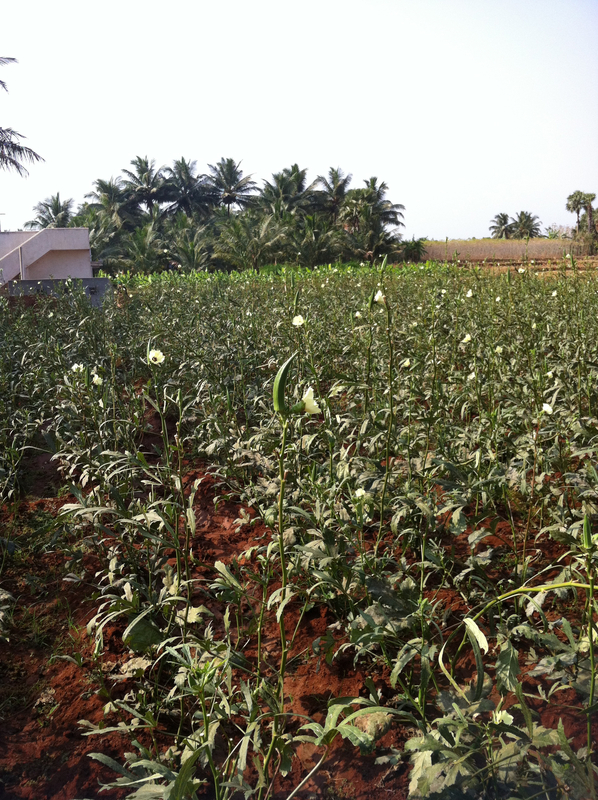 My walk to Vaidyagrama through the farms – over the three months, it was really interesting to see new crops being harvested and old ones removed – reminds you of the simplicity of farm life and how wonderful it would be to be self sustainable. 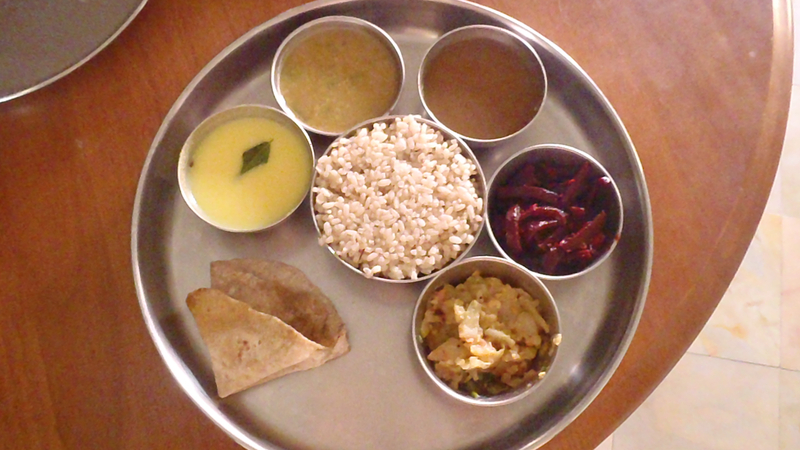 My lunch 5 days a week for three months – pretty much always the same: buttermilk, a vegetable soup, some lentil/protein preparation, two vegetable dishes, rice or millet and ghee-less chapatis. Needless to say, I got used to it over time. 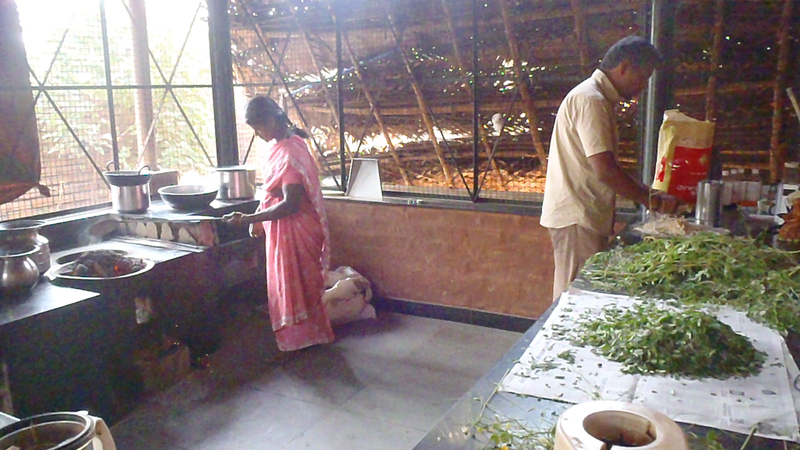 The kitchen at Vaidyagrama – on one side, they cook for patients, and the other side for staff. 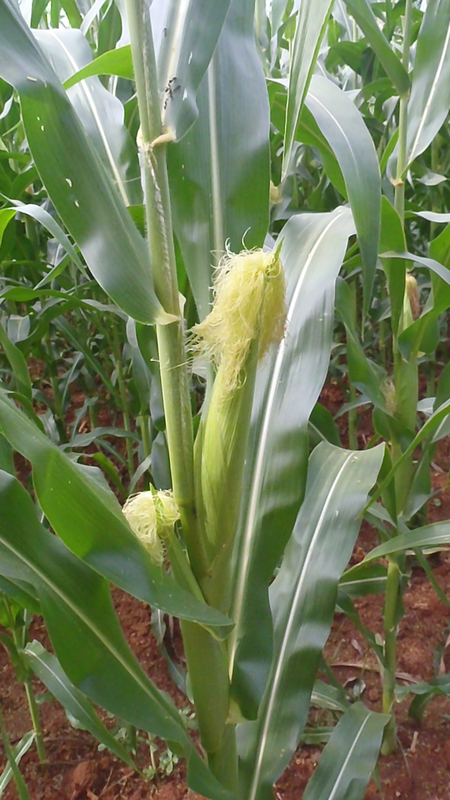 It’s a very nice open arrangement, full of air, so it doesn’t get too stuffy, and is bearable during summer. All the cooking at Vaidyagrama is done on flames which are fueled by natural materials: bio-mass briquettes, dried coconut shells or dried cow dung paddies. 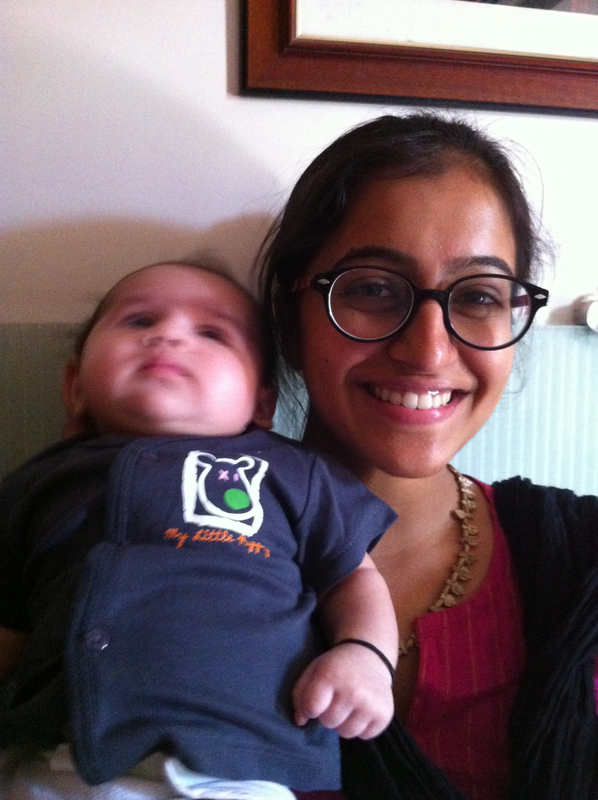 My study was split up in between by a trip to Mumbai for a cousin’s engagement and to see a baby nephew! 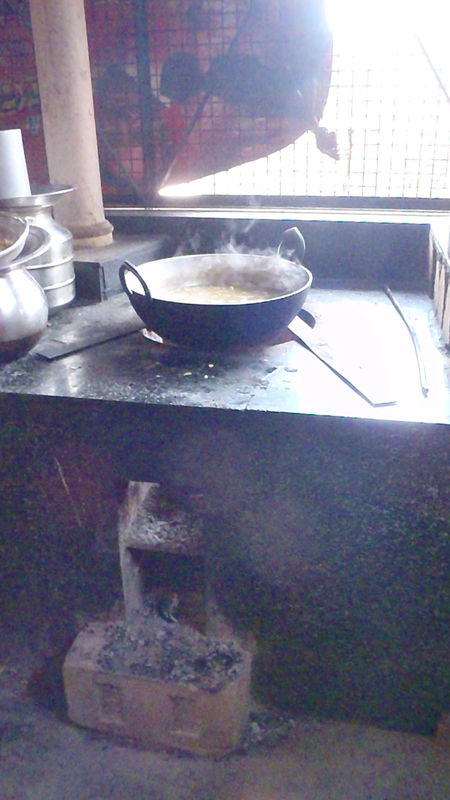 Living away from the luxury of constant electricity, I was able to experience different methods of cooking. 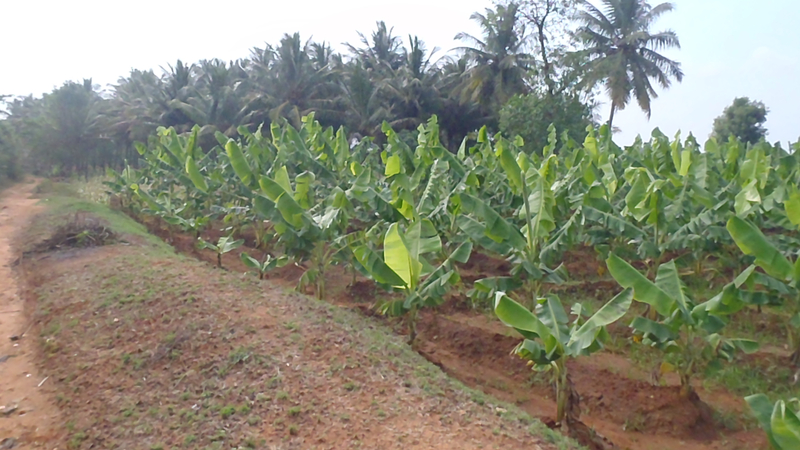 On this particular day, paati and I were making a banana cake which was nicely baking in the oven when the electricity cut off. So what to do?! 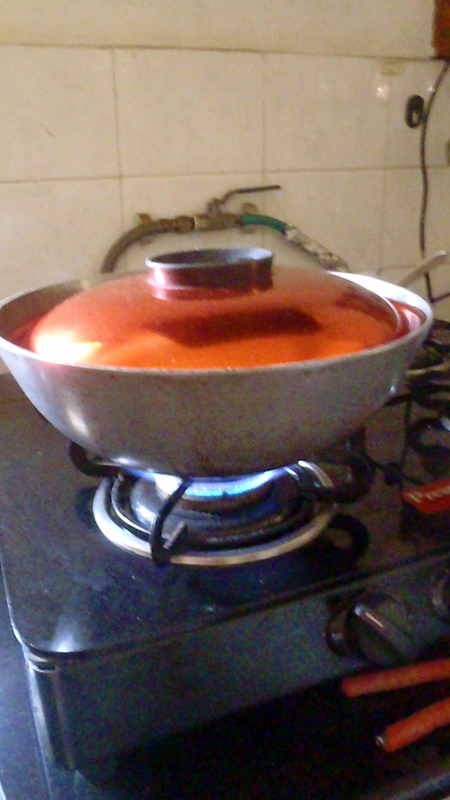 Paati taught me what they did in India before the advent of the oven – fill a wok with sand, place it on the gas, let it heat up, put the cake tin in and cover. Let it cook (while periodically checking if it’s done) and voila! A cake baked to perfection! 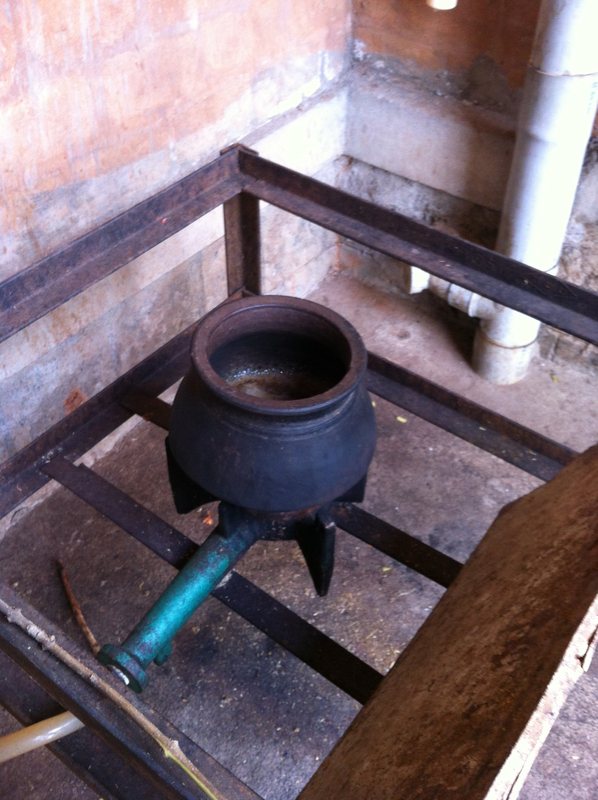 The cooking of the medicines is done using bio-gas – gas produced from the fermentation of all the waste at Vaidyagrama. 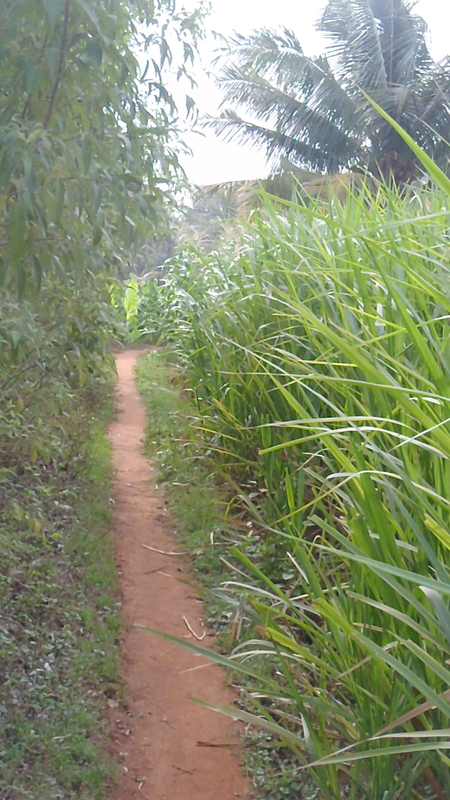 They really imbibe the sustainability and eco-friendly vibe into all aspects of their operations. 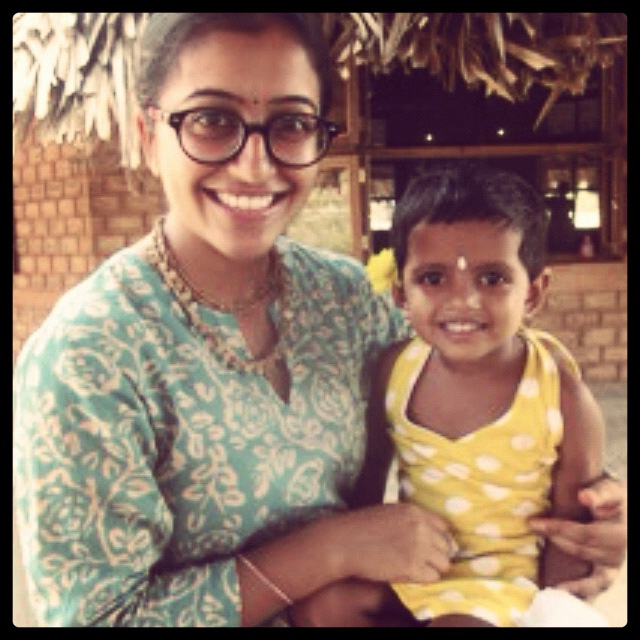 And no, I didn’t eat South Indian food all the time! 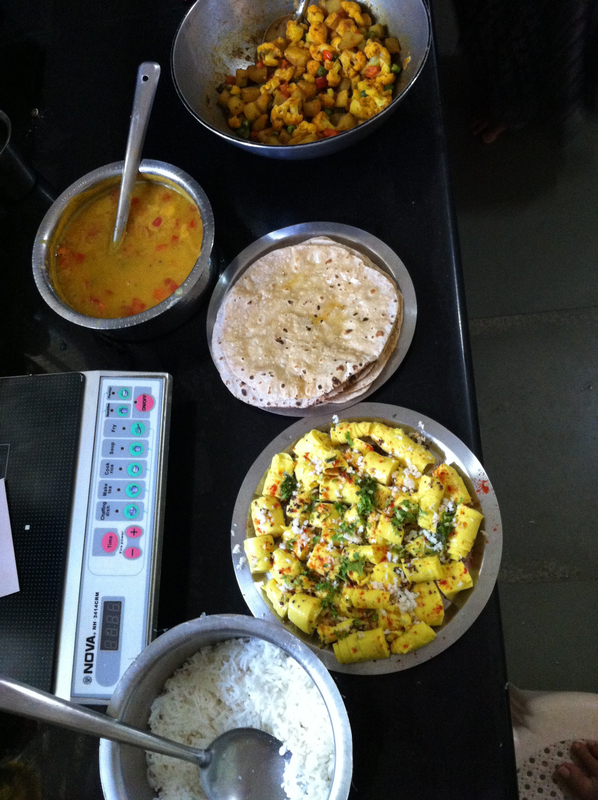 On this particular Saturday, I treated paati to a Gujarati lunch – from top to bottom: cauliflower, potato, tomato and peas curry, toor dahl (cooked the Gujarati way with jaggery and lemon), thin chapatis, khandvi (a delicate savoury dish made from chickpea flour and yoghurt) and basmati rice.